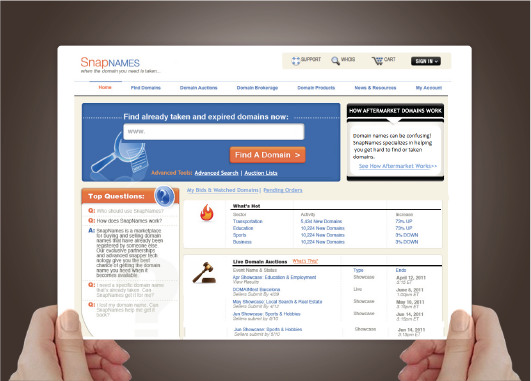 SnapNames is the #1 after-market domain registration service. 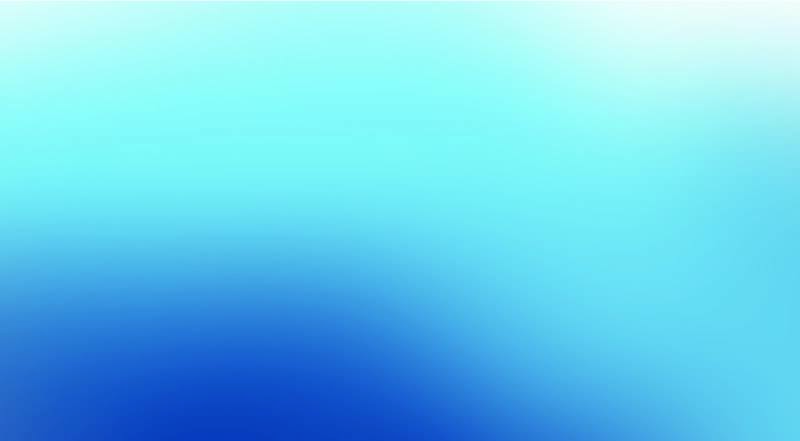 It plays an essential role for customers looking for domain names that have been taken. Experience Dynamics was called in to improve conversion rates and lower the home page bounce rate. Domain name registration is the most commonly understood model in the industry. Most consumers do not understand “after-market” domain name services. The SnapNames website didn’t help. For all intensive purposes it looked like a GoDaddy competitor to most visitors. 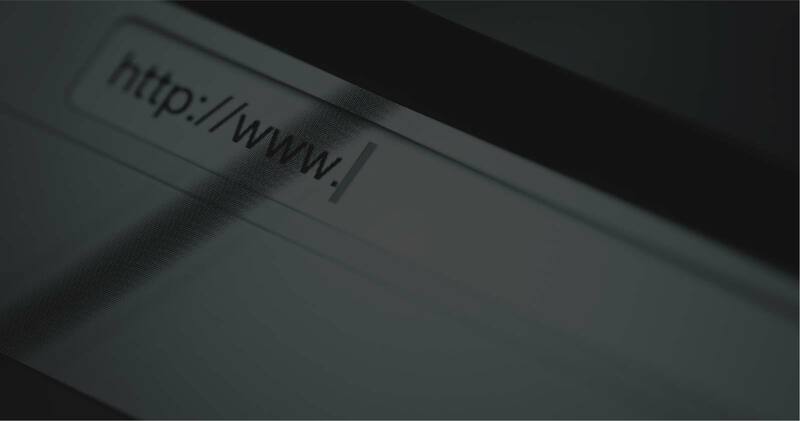 How to differentiate and filter out the “noise”: consumers who were looking for plain old domain names. 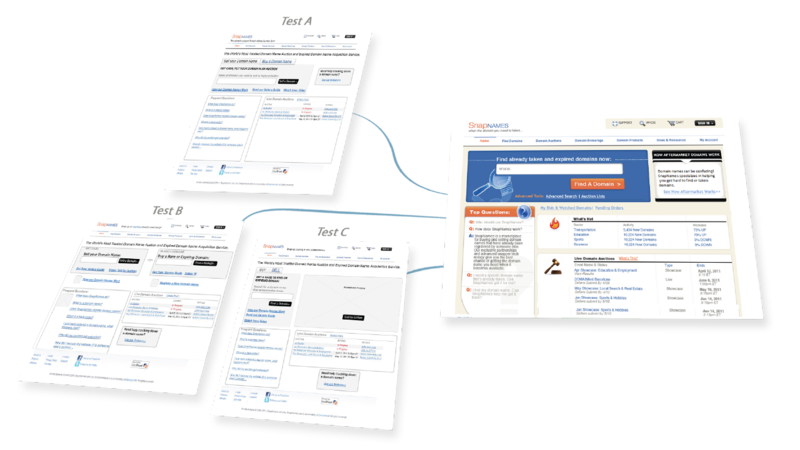 Increase overall conversion rate on the home page by at least 10%. Increase click-throughs of key promotional pages by at least 5%. Increase click-throughs of key “staying” content (videos, buyers and sellers guides) by at least 5%. Create 3 new but different home page versions with conversion-centered UX best practices and find out which one performs the best. We started out with rapid UI prototyping and followed by quickly and iteratively testing with actual end-users. We realized quickly that customers were confused by home page value proposition, terminology and content blocks. By testing 3 different versions rapidly using remote usability testing, we were able to take the insights from the first version into the second and so forth. Quick iteration was key to the process. User verbatim before: “If i don't renew my site, what happens to me-- how do you grab that back? Its not explained properly?”. Conclusion: This is still far too confusing! User verbatim after: “Backorder- they can grab it for you - i like that, they can even help you get a name you lost”. Conclusion: Whew! Things seem to be getting clearer for prospective customers. From round 1 to round 2 increase in subjective satisfaction from 80% to 95%. We’re doing something right! After a few months, how did the site perform with live traffic? 90% traffic increase for returning users. New users increased, but SnapNames discovered that the number of new visitors was smaller than originally thought. Confused traffic dropped 80% but overall search remained stable. SnapNames realized they were missing valuable purchase decision information.